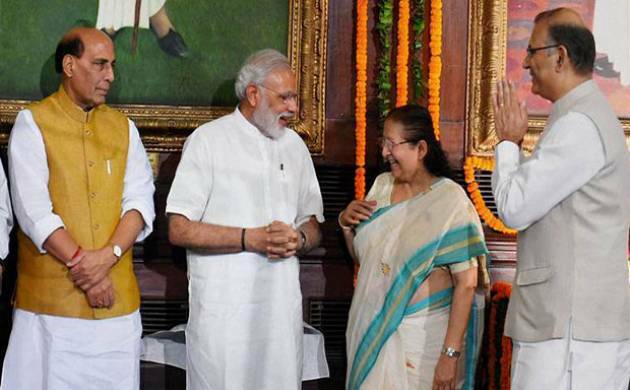 Prime Minister Narendra Modi today implored all opposition parties to support the passage of crucial Goods and Services Tax (GST) Bill in the monsoon session of Parliament that starts tomorrow. The meeting was the last ditch effort to ensure smooth proceedings of the upcoming session as opposition is expected to block the reform. "GST is of national importance. Issue is not which government gets credit. Important Bills, including GST will be taken up in the monsoon session and I hope for meaningful discussions and outcomes," he said at the all-party meeting called by the government. "All of us represent both the people and parties and let's keep national interests above everything else," he added. Prime Minister Modi’s appeal was followed by discussions between government representatives and leaders from main opposition party Congress. GST bill, which promises to revolutionise India’s tax regime, has already found support amongst West Bengal’s Trinamool Congress and Bihar’s Janta Dal United-led Government. The tax reform, biggest since independence, aims to replace a slew of central taxes and levies in 29 states, transforming the nation of 1.2 billion people into a customs union. Starting from tomorrow, the monsoon session will have 20 working days and will conclude on August 12. A total of 25 bills including crucial Goods and Services Tax (GST) Bill are expected to come up for passing and consideration during the session.